On Sunday I asked hubby if we could stop by CVS. I had some really good coupons and wanted to check out the deals for the week and month. I had not been to CVS since Thanksgiving Day, so I had a lot of ECBs to use. I mentioned to JL that they had a General Mills cereal special. 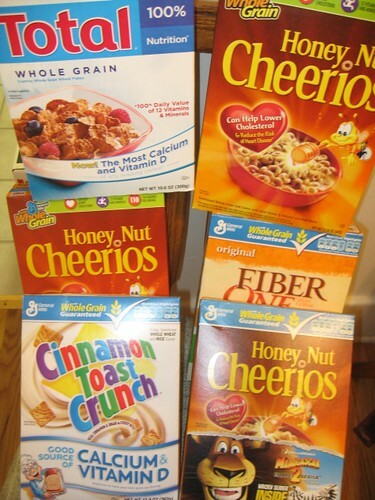 The boxes were on sale 3/$10 and if you spent $20 on cereal you would receive $10 in ECBs back. That would make them $1.67 a box, but I had coupons for General Mills that made them even less. Sure, I lost $3.76 in ECBs, but I still did quite well. 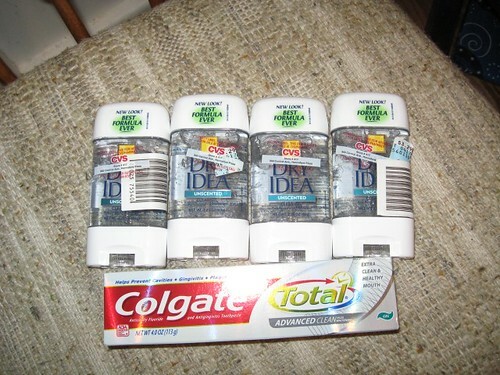 I went to another store Thursday and completed the limit of 5 on the deodorant. I also picked up 5 of them for my mother with her CVS card. I was lucky that that store had plenty left. So they had marked it to half price so it was 15 instead of 30 and i had a 10$ coupon saved from thanksgiving and i hadnt realized it expired the 13th…told them i thought it was 24th and they honored it…so got his kit for 6.38!! !